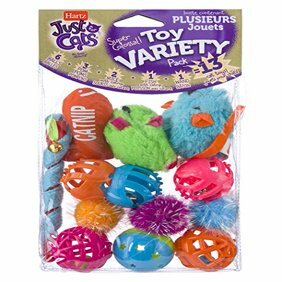 Bergan Assorted Turbo Ball Pack Cat Toy Give your cat more variety with the Assorted Ball Pack. Simply pick one and place into the Turbo Scratcher or Star Chaser. Bergan Assorted Turbo Ball Pack contains: one clear fillable ball marbles catnip pack bell one motion activated light ball Important: Never leave pet unattended with any treat or toy!